This week is only a 4 day work week for the residents of Utah (aka, me) and I couldn’t be more thrilled. My sister, who happens to be a health crazed freak beast from the planet Mars (no, seriously, she ENJOYS health food. 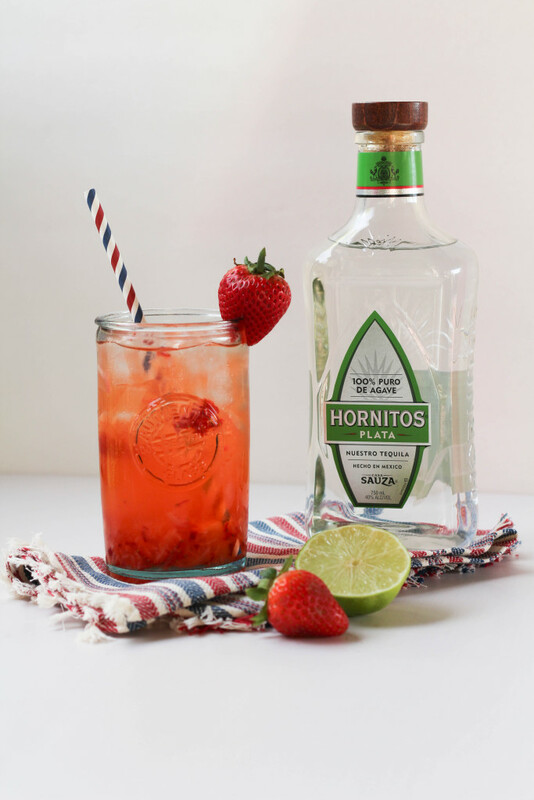 I don’t get it), shared this recipe for healthy strawberry margaritas with me and I definitely feel a lot less guilty having a second (or third, or fourth, ahem), when I’m sipping on these guys. She tried to hook me with the fact that it’s super healthy, has basic ingredients with no added sugar, and that you can understand all of the ingredients on the label, but, of course, I had zero interest in that. I tried it. It was good. I was sold. I’m uncomplicated. (And I like sugar. Sue me). But for all of you crazy health people, this cocktail’s for you. And it tastes good too, so there’s that. The recipe is for a single cocktail, but you could easily make a batch in advance so you’re not stuck in the kitchen playing bartender all night if you’re having people over. Combine your water and strawberries into a shaker. Add your lime juice, tequila, agave nectar, and ice. Strain into a glass filled with ice. Garnish with a strawberry, a lime slice, or both! Try subbing out the strawberries for fresh raspberries, blackberries, peaches, or blueberries too. 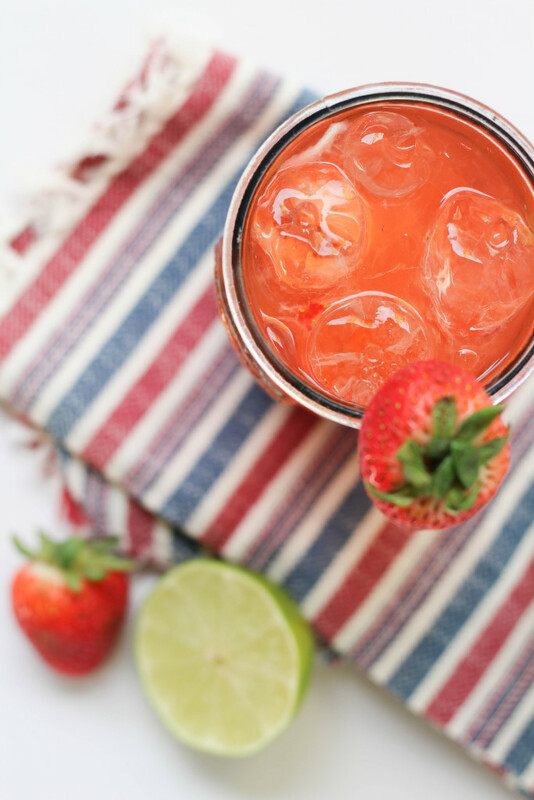 These healthy strawberry margaritas are so easy to throw together and the perfect cocktail to quench your thirst this summer too!